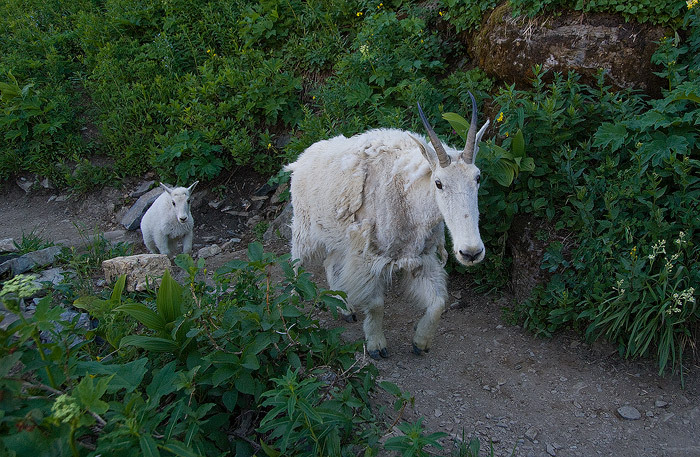 Mountain goats share the road with hikers along the Highline Trail. Field Notes: Sony a100 camera, Tamron 17-50 2.8 lens. Photo © copyright by Brett Deacon.